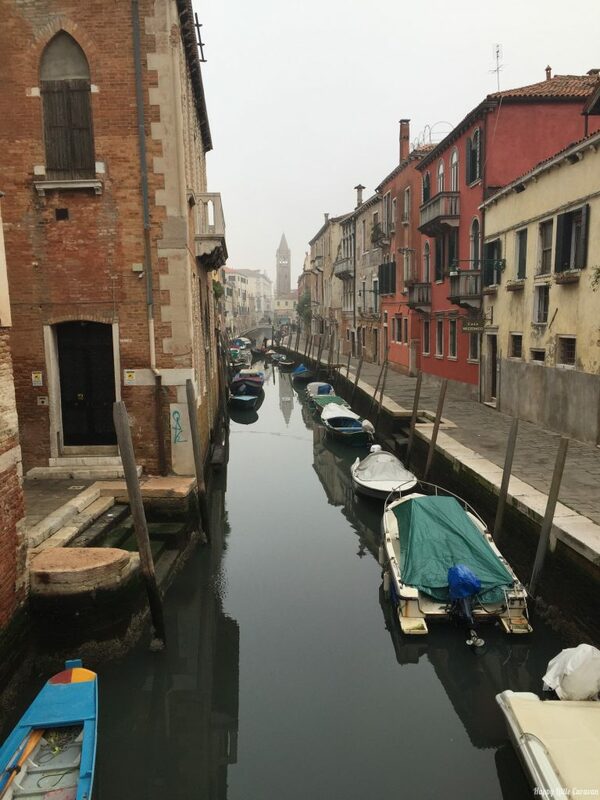 Venice is not a city to which I can devote a single post and hope to be comprehensive descriptions of the attractions, places to visit and places to eat! Moreover, it is not our habit to visit the great cities of art and then review. But I will bend the rules for Venice, because, of all the major Italian cities I visited, this is the only one that deserves a few words “more” than the infinite list of attractions, churches and museums . Always it says that Venice is a romantic city, of the past, magical and mysterious; I had visited as a child, but then growing up I always thought that maybe has always been a bit overstated. Of course, the Basilica and Piazza San Marco, the canals and the works of Tintoretto at the Scuola di San Rocco, Ca ‘d’Oro, the Giudecca and museums, tombs of Stravinsky, Diaghilev, Ezra Pound, Luigi Nono to the cemetery of San Michele … But in the end, what you really worth it to spend a long weekend in Venice is the silence of a city free from cars and invaded by water. Until we arrive and begin to lose yourself in the narrow streets, you can not understand what I’m talking about. It’s not like being in the mountains or in the countryside, because there is still a great city, full of people, tourists, shops, streets, but with a constant undercurrent of … nothing. So much silence, even the tone of voice lowers dramatically: it seems that all whisper because there are rumbles of motor drown. Except those of the boats, but I assure you that is not the same thing. It is a ridiculous number compared to the machines that you can cross during a walk in Rome. I believe that this modernity “lame” is the main reason why I would strongly recommend a visit to the city, preferably without chasing too rigidly the works and the places to go and admire, but wandering distractedly through alleys and canals, slipping in the darkest and narrow (and some streets are REALLY tight, to pass one at a time and holding his breath) forgetting the closing of this church or that museum. It remains, in my view, a cold city, sometimes smelly, used to tourists that love-hate, and when you really need to rely on a travel guide, at least with regard to eating places. We, relying on the Lonely Planet pocket of Venice, we were able to eat well spending a maximum of 30 Euros per person (which is a lot, but I have to admit that it is always well worth it). In short, I found it a perfect escape for a cold bridge winter, and a good compromise for those who love to see new places, but also wants to escape the stress of the city.